At Jones & Walden, we are there to help people navigate the complex process of bankruptcy in Atlanta, Georgia. For more than 15 years, our law office has assisted people and businesses with restructuring and eliminating debt. Our attorneys have experience practicing in both state and federal courts, including the United States Bankruptcy Court for the Northern District of Georgia. We are proud to have earned the highest rating possible of AV Preeminent* from Martindale-Hubbell. Our law office is able to help clients file for different types of bankruptcy based on their unique situations. We help individuals wipe out debt and liquidate assets via Chapter 7. We offer debt reorganization and adjustments via Chapter 11 and Chapter 13. Our attorneys also deliver focused counsel for businesses, farmers and fishermen looking to restructure debt with a payment plan via either Chapter 11 or Chapter 12. When we are not overseeing bankruptcy proceedings, we are advocating for businesses regarding commercial interests and transactions. Our attorneys handle corporate formations and dissolutions, startups, loan closings, asset purchase agreements, and partnership and shareholder agreements. Additionally, we represent builders, developers, banks, landlords, homeowners and tenants in real estate matters. Beyond bankruptcy and business issues, our law office takes on cases involving creditors, intellectual property, estate planning and civil litigation. 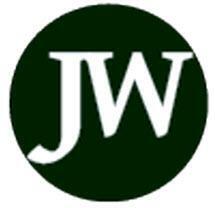 Jones & Walden accepts credit cards as payment. We work with clients in the greater Atlanta metropolitan area as well as North Georgia and the counties of Fulton, DeKalb, Gwinnett and Cobb.